Last weekend I attended the 5th (my 3rd) Overland Expo outside of Flagstaff, Arizona. As expected, it was an amazing weekend filled with inspiring and empowering presentations from travelers all over the globe. Trucks, bicycles, motorcycles – they have it all. 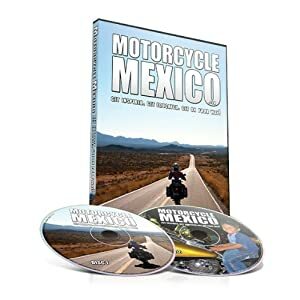 I sold lots of Motorcycle Mexico DVDs to aspiring travelers and had the opportunity to give several presentations to more than a hundred people. If you missed all the fun, you can have a look at my slides (unfortunately, you won’t get all the sarcastic commentary). If you’re reading this by email, click through to the www.AFewMoreMiles.com website to flip through the presentations. Now that’s a NEMO tent! Ted Simon giving a sneak peak of his new book. Toasting to old friends and new friends. Ya, that’s 45 year old bourbon that we drank – DELICIOUS!! Incredible presentation by Simon and Lisa Thomas (2 Ride The World). They have been riding the world for the past 10 years! World premiere of Austin Vince’s new film Mondo Sahara (Click the link to watch the movie trailer). Amber and I riding dirty in the Ural. Playing Left, Right, Center with the group at Snow Peak. Celebrating 20 years of marriage with Sandy and Terry of Adventure Trio. Amber’s new commuter. It’s good on gas. Back in August I shared with you the first two pilot episodes for the upcoming New World Ride – a Colombian motorcycle documentary. Mike and I filmed these episodes back in June as we were preparing for the future film tour. If you haven’t checked out the final two episodes already, do so now. There is a lot of adventure in these two – Avalanches, grave tunnels, Colombian kids, riding single track down the edge of a mountain, nearly crashing while passing trucks, Bike Week with a local biker club, delicious fresh fruit, and a tour of a working colombian coffee finca. Mike and I are getting really excited for this journey. We received lots of interest and spots have been filling up fast. We have only two more spots available. Contact me if you’d like to ditch the snow this winter and ride through paradise! Our tour begins on January 15th and runs for 8 days. Spots on the tour are going for $3,500 which covers nearly everything except plane tickets. I’ll be posting lots more photos and video clips from our tour in January so stay tuned for more adventure! 2 months ago I started a new full time job. The new gig has no shortage of engaging challenges and I’m really excited to make a solid dent my student loans debt. After I accepted the offer, the count down to “normal life” began and so with 3 days notice, I hopped on a plane and flew to South America. I visited with my friend Mike from Motolombia. I met Mike in early 2010 when I was passing through Colombia. He also owns the superb Casa Blanca Hostel in Cali where he’s housed more than 1,000 motorcyclists over the past three years! Originally from Denmark, Mike’s been traveling the world on two wheels and four since he was a child. Several years ago he settled in Colombia, married, and started a family and business. Mike and I kept in touch since I passed through and he was really excited about the Motorcycle Mexico film I put together to get riders educated and inspired to ride in Latin America. 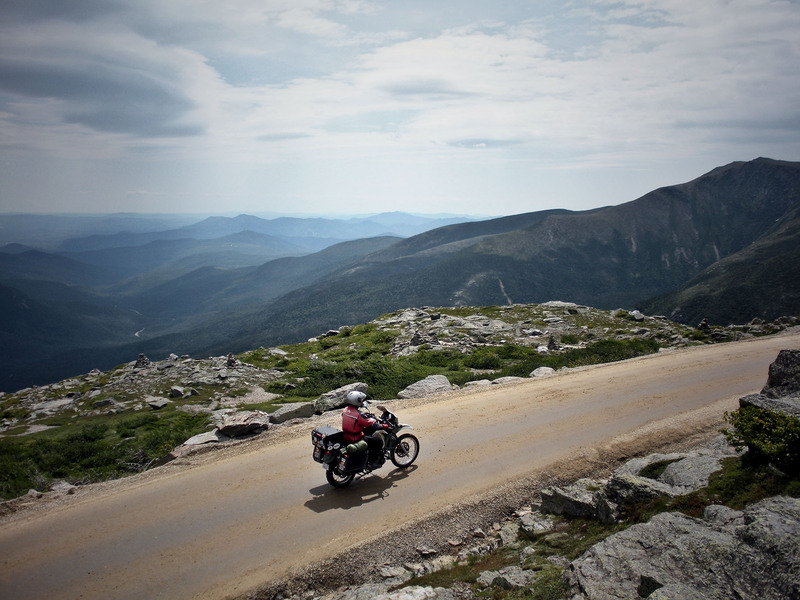 Now, we have teamed up to create The New World Ride – A Colombian Motorcycle Travel Documentary. In January 2012 I’ll be headed to back to Colombia to film the ride. We’re looking to give 6 lucky riders the adventure of a lifetime. To learn more and to join us on tour, check out www.TheNewWorldRide.com. In addition to riding on tour, we also have non-riding spots available in Mike’s SUV as well as opportunities to pre-order the DVD and T-shirts. A few months ago, Mike and I toured Colombia to research routes. In doing so, we filmed 4 pilot episodes to show you just a little of what to expect in Colombia. Two episodes are now live and the remaining two will be posted in a few weeks. Tour Guide, Mike, ripping it up at a local’s motocross track in southern, Colombia. The local kids put us to shame when they jumped their Chinese 125s! A spectacular afternoon of riding at the local “backyard style” motocross track. Drunk locals in Silvia, an indigenous village in the mountains, offered us lots of free whiskey at 10 in the morning. Muddy road far off the beaten path in Colombia. Local kids at the top of a natural pyramid in Tierradentro. Mike crossing a river in Colombia’s coffee region. Colombia is a beautiful country with a tainted reputation. Did you know, in Colombia the locals said I was crazy for going to Mexico. Yet, in Mexico the locals told me I was crazy for going to Colombia… However, in New Hampshire they tell me I am crazy for going to Massachusetts – I don’t know what to believe anymore… The truth is, Colombia has spectacular on and off road riding, friendly and interesting people, delicious food and amazing scenery. I’m really excited about this project. If you or someone you know would like to join us on tour, sign up at www.TheNewWorldRide.com. Even if you can’t get away, you can still join the adventure and support the project by pre-ordering the DVD and T-shirts. Go ahead and share the videos with your Facebook friends, Google+ circles, and Twitter followers. Mike and I really appreciate your support! Hey Everyone. It’s been about 6 months since I’ve had an update. Since we last spoke, I’ve launched the Motorcycle Mexico DVD. It’s now being distributed by Amazon and Whitehorse Gear. If you’ve been dreaming of riding your motorcycle through Mexico, this should be your first stop for research. I’ve sold a few hundred to date and the feedback has been wonderful. It’s not a Hollywood masterpiece but the content is a gold mine of information for planning a trip south of the border. I’ve also been busy presenting at Overland Travel and Motorcycle Rallies around the US. In April I presented at the Overland Expo in southern, Arizona. The event attracted thousands of veteran and aspiring overland travelers from around the globe. I sat on the panels for group discussion “to ride solo or not” & “borders, bribes and checkpoints” and I moderated the “safety on the road” discussion. In addition to presentations I share space in the authors and filmmakers tent alongside many of my heros. Ted Simon, Carla King, Austin Vince, Lois Pryce and Sterling Noren just to name a few. I made up a fun poster for rally goers to jump in and take a photo. All in all it was a great event. You can read the full write-up on the Motorcycle Mexico Blog. A few weeks later I was off to the BMW Georgia Mountain Rally. I rode down with Bob and Sue of Micatech and we trailered the bikes behind. Once again it was great to escape the New England cold and head down for fun in the sun. After camping through a tornado, the weather really cleared up and the entire time was perfect. I gave a few presentations and had my bike on display for everyone to explore. After the event I ate some boiled peanuts and rode Deals Gap – 318 cuves in 11 miles! I continued north on the Blue Ride Parkway for a few days getting free moonshine from the locals until I made it back to NH. Read all about it on the Micatech blog. Sidestand Up, the worlds only Motorcycle Radio Road Show had me on as a guest and we talked about riding down south of the the border. Here’s the link to the interview. 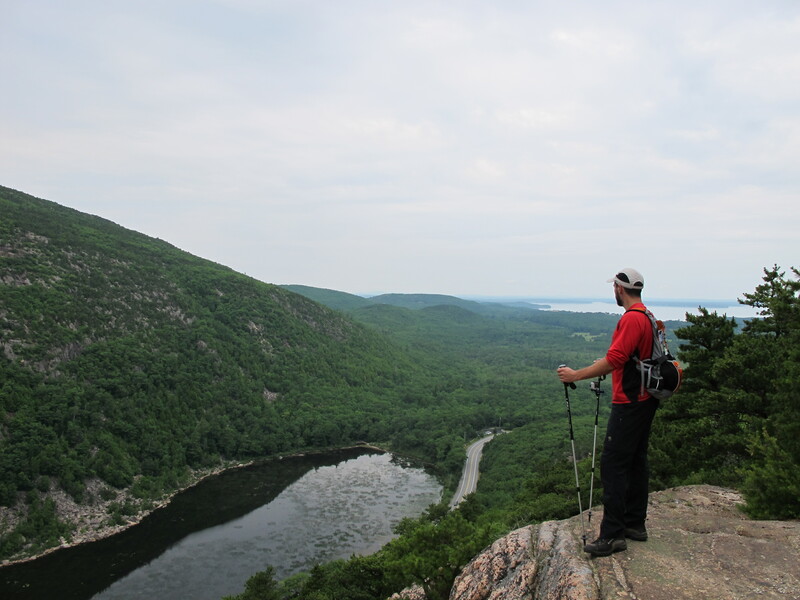 Back home in New Hampshire I’ve been giving several presentations about my travels through Latin America. Many of the local public libraries have contracted me to present to their patrons. I really enjoy my sharing my stories and photos and it’s great to inspire others. I added the list of presentations to the sidebar of the A Few More Miles homepage. At the time of this post, here’s the upcoming schedule. All presentations are free and open to the public. If I’m in you’re area, be sure to come on out for a night of adventure! Drop me an email at ben AT motorcyclemexico DOT com if you would like me to present to your group.